Project Project: Change is everywhere. 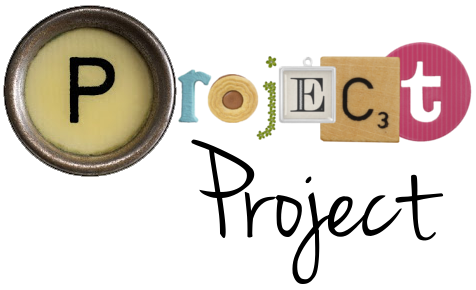 As I seem to be changing the scope of my crazy project page, I've also changed its title: "52 Weeks Later" is now "Project Project", but will still be found at this URL. Like I have mentioned earlier, instead of doing a project a week, I will now be posting whenever the fancy strikes me. The cool thing about this is that it opens up the possibility of doing both smaller and larger projects. For example, one of the larger, ongoing projects I have already started working on is Know Your Fork: Spanish Fork Tourist. Every so often I will post about something new and thrilling that this little town of ours has to offer, and you will gawk in wonder and awe. Or something like that. Or I might decide it would be fun to spend an afternoon shopping the thrift stores (which frankly, gross me out a bit) and then I would post about that. Most of the projects already listed on the sidebar can be adapted to both bigger and smaller projects, and some of them I will leave as week-long activities. Because, really: who wants to only spend an afternoon saying yes or being French? Oh, PS: Another small change is I added an application that let's you leave me some feedback at the bottom of each post. Check the boxes that say "Like", "Interesting" and "More, please" according to how you feel. This lets me know that someone is actually reading, even if they're not actually leaving comments. Which you are, of course, more than welcome to do. I love me a good comment! And another PS: One of the "downsides" of doing a project blog is that I don't ever really write about the daily blah-blah-blahs. At least I try not to. For that, I have my other blog: tamsinator.livejournal.com that gets updated every so often with this, that and the other, so if you're in the need of a Tamsin-fix (why, I can't think) that's always a good place to try.